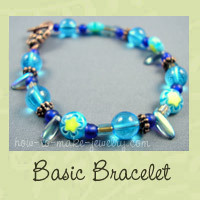 Bracelet making is loads of fun, and so is wearing your creations. I love that you can admire your own handiwork all day long just by looking down at your wrist. I seem to make more pages about bracelets than anything else lately. This page is sort of a hub page linking to all of my bracelet related information. Figuring out exactly how to size a bracelet properly is really tricky. I still struggle with it even though I have lots of experience! I made myself a bracelet sizer tool to help me out. 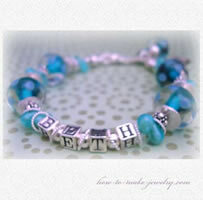 Looking for a Mother Day bracelet idea? Make a swarovski crystal, gemstone, and sterling silver Mommy Bracelet with this easy bracelet pattern. This hemp bracelet pattern is a perfect beginner project. You can tie one on in no time! A grandmother bracelet is the perfect gift for any grandma! These bracelets could easily be made into mother bracelets too. Follow one of these patterns and make a beautiful grandmother/ mother bracelet that will be cherished forever. Another beautiful grandmother bracelet, this one features three different strands so you can really customize! As always, you can really change this into any type of bracelet you'd like - mother bracelet, best friends bracelet, sister bracelet... Feel free to show your creativity! Here's another hemp pattern. I call this one my Bubblegum Bead Bracelet. This free pattern uses thick hemp, colorful wood beads, and easy-to-do square knots. 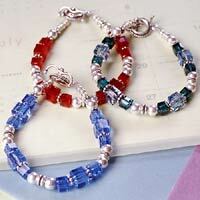 Make this swarovski bead bracelet in birthstone colors and celebrate your birthday every day. 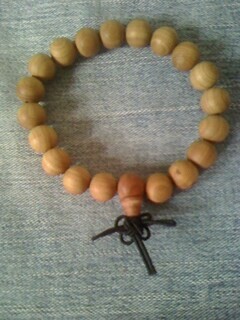 Make a wrist mala with these easy sandalwood bead bracelet instructions courtesy of guest author Echo. Looking for kits? Here are oodles and oddles of bracelet making kits. These bracelet tips, tricks, and secrets will save you time and aggravation. You'll find all sorts of helpful pages here. Everything from how to get those darn knots to keep from slipping, to what those little doodad are called so you know what to ask for at the bead shop. 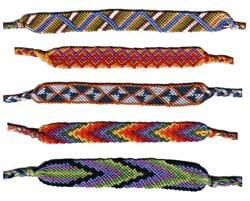 Learn all about friendship bracelets and how to make them. There are lots of tips, patterns, and other cool stuff. Watch this video to learn how to use my handy dandy free bracelet sizer tool (pdf download) for carefree bracelet sizing. Oh yeah- and don't forget to read my charming story of the Stubborn Bracelet Maker (me of course).